Did you know that last week there was only one state in the nation, Hawaii, that did not have temps below freezing? Colder weather and shorter days aren’t a bother for me, since winter forces me to “slow down” a bit. I’m also excited because it’s about time to deck the halls! I’ve been crafting more lately, too, and crafting is always more fun with friends. 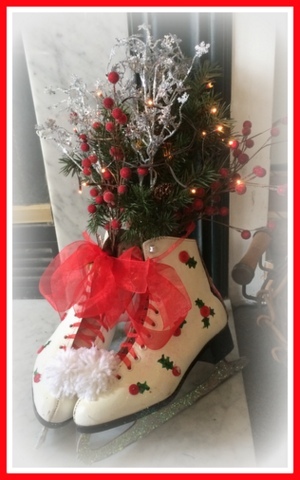 Grab your best gal pal and a cup of hot coffee, and let’s re-purpose some ol’ ice skates! “Opa”! I first heard that expression in 1976, when my parents took me to the Greek Festival in Houston. I’ll never forget that day; the exciting festival with all the people, dancing, and scrumptious Greek food, handmade by local ladies my family knew. 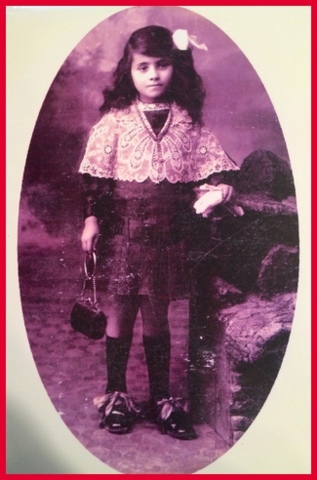 While I wasn’t raised in the Greek church (or speak Greek), my father’s mother was born in Athens, Greece. Though my grandmother’s been gone decades, she’s on my mind as I cook comfort food with the arrival of colder weather, and begin holiday baking, using her treasured recipes.